FRAMINGHAM, Mass., June 22, 2018 – The worldwide public cloud services market grew 29% in 2017, reaching a total of $132 billion, according to results from the 2H 2017 release of the International Data Corporation (IDC) Worldwide Semiannual Public Cloud Services Tracker. While the overall growth rate in 2017 was marginally lower than 2016, revenue growth of the top 16 providers (by market share) increased during this period, continuing their market share dominance in the public cloud services market. Their cumulative share of the market went from 48.39% in 2016 to 50.8% in 2017, accounting for just over half of all the worldwide public cloud services spending. From a regional perspective, the United States continues to provide a majority of public cloud services revenue. 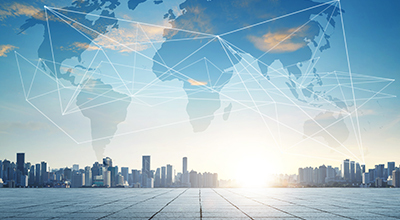 The global share represented by the U.S. saw a slight decrease in 2017, going from 63.3% to 61.9% as adoption and growth in other regions increased their contribution to the worldwide market. 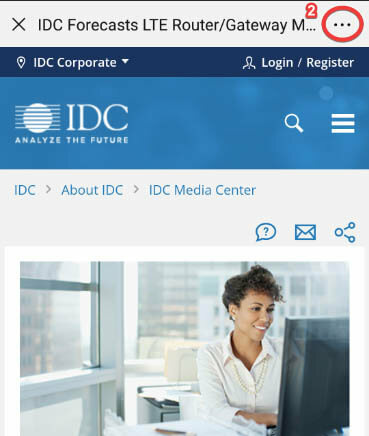 IDC expects this trend to continue through the next few years, as new regional services and expansion by global players become increasingly strong factors driving global growth. "2017 was a pivotal year in the expansion of public cloud service adoption, as public cloud services continued to defy the usual laws of market gravity: for the fifth straight year, spending growth remained at a scorching 29%, even as the size of the market has tripled over that time," said Frank Gens, senior vice president and chief analyst at IDC. "2017 also saw some intriguing market share shifts among the major players, as all of them have significantly increased their focus on the cloud, and competitive pressure has ratcheted way up. The next three years will determine IT industry leadership for the next two decades and beyond." The Software as a Service (SaaS) segment was characterized by supplier consolidation, maturing customer adoption, and steady growth. Enterprise Resource Management (ERM), Customer Relationship Management (CRM), and Collaboration applications contributed the most to SaaS growth, accounting for 81% of all SaaS-delivered applications. Supply Chain Management (SCM) and Content applications represent the fastest growing categories of SaaS applications at 27% and 28% respectively in 2017. "The SaaS delivery model accounts for 68% of worldwide public cloud services revenue. SaaS applications continue to grow at a respectable 22%, reaching $75 billion in 2017 and forecast to reach $163 billion by 2022. In the System Infrastructure Software (SIS) category, security SaaS accounts for 42% of all revenue, with a five-year CAGR of 13% through 2022. While new SaaS companies launch regularly, technology mainstays like Salesforce, Microsoft, and Oracle remain atop the list of SaaS providers," said Frank Della Rosa research director, SaaS and Cloud for IDC. In the Platform as a Service (PaaS) segment, year-over-year growth slowed slightly to 47% from 48% in 2016, reaching a little over $17 billion in revenues in 2017. IDC expects this growth to continue as awareness of new development methods expands while the barriers to public cloud adoption decrease. "Demand for applications has continued to fuel the growth of PaaS services to improve developer productivity. Emerging technologies like containers and serverless computing are changing the delivery and consumption model of PaaS services. 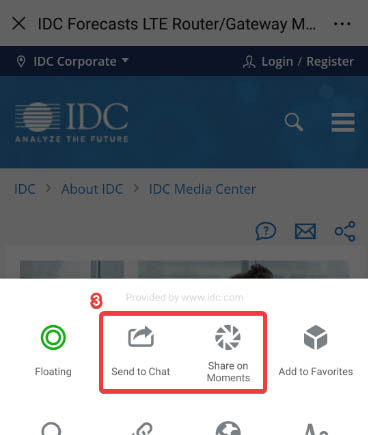 As more companies demonstrate value from platforms, adoption rates will remain high in the near future," said Larry Carvalho, research director, Platform as a Service at IDC. In the Infrastructure as a Service (IaaS) segment, enterprise adoption and growth in new regions continues to drive worldwide growth of IaaS revenue. Despite the growth in revenue, revenue growth itself has slowed – to 40% in 2017, down from 45% in 2016 – as the market reached a total size of just under $25 billion in 2017. "Enterprise usage of public cloud IaaS is still in its early phase. There is strong interest among enterprise IT organizations to increase use of public cloud IaaS and the major providers continue to address barriers for large scale adoption. These factors will continue to drive workload deployments in public cloud IaaS, and the market can be expected to grow at the current rate for at least the next two years," said Deepak Mohan, research director, Public Cloud Infrastructure as a Service (IaaS) at IDC. For more information about IDC's Worldwide Semiannual Public Cloud Services Tracker, please contact Kathy Nagamine at 650-350-6423 or knagamine@idc.com.